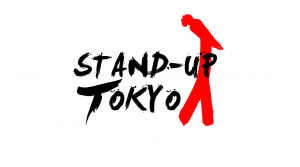 Welcome to Stand-Up Tokyo – your ultimate guide to stand-up comedy in Japan’s capital city. Japan has a great history of comedy from rakugo to manzai; it also has a bustling English language comedy scene ranging from open mics to full blown headliner shows. We are working hard to entertain Tokyo residents – expats and locals alike – as well as the many tourists visiting here, with open mics, shows and regular overseas acts. This site lists all of our comedy events in Tokyo – but there are many more which are not organized by us. We try to list them all here, but things move fast in this city! As a first port of call, we do recommend our flagship show Good Heavens Comedy Club, every Wednesday at Good Heavens British Bar, Shimokitazawa. Here you can meet all of the active members of the Tokyo comedy scene and find out more about events across the capital.